Dr. Nekky Jamal was raised in Calgary, Alberta where he attended the University of Calgary and received a B.Sc. in Biological Sciences and Economics. Nekky then moved to Saskatoon where he received his Doctorate of Dental Medicine at the University of Saskatchewan. 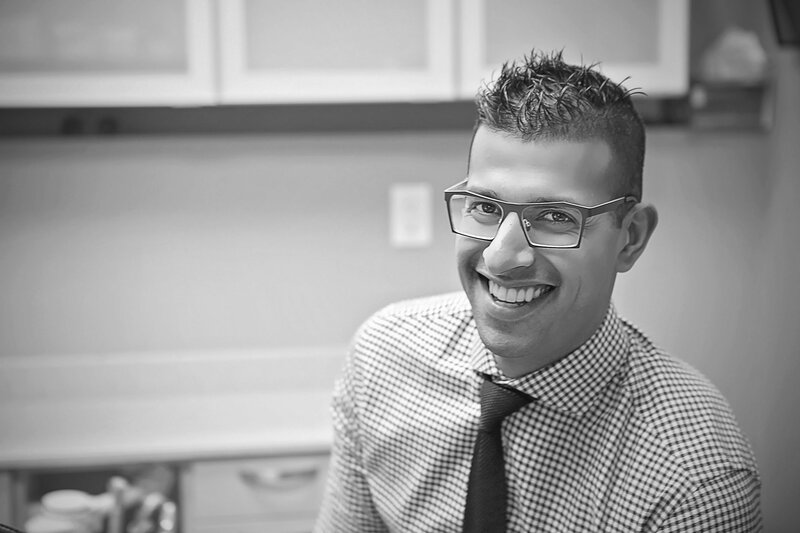 Nekky is currently a member of the the Alberta Dental Association and the Canadian Dental Association. Nekky also gives back to his profession through teaching at the prestigious, Bites Institute, in Vancouver, British Colombia. Nekky teaches workshops to other dentists across Canada on wisdom tooth extractions and how to obtain growth factors from blood to encourage faster healing. He has taught at the 2018 and 2019 Pacific Dental Conference, the largest dental conference in Canada, as well as the 2018 Saskatchewan Oral Health Conference. When Nekky isn't at the office or volunteering his time with Change for Children, he enjoys running, playing and coaching basketball, visiting elementary and pre-schools to educate children about oral health, traveling and learning other languages. Nekky is a current and proud member of the Border City Rotary Club.